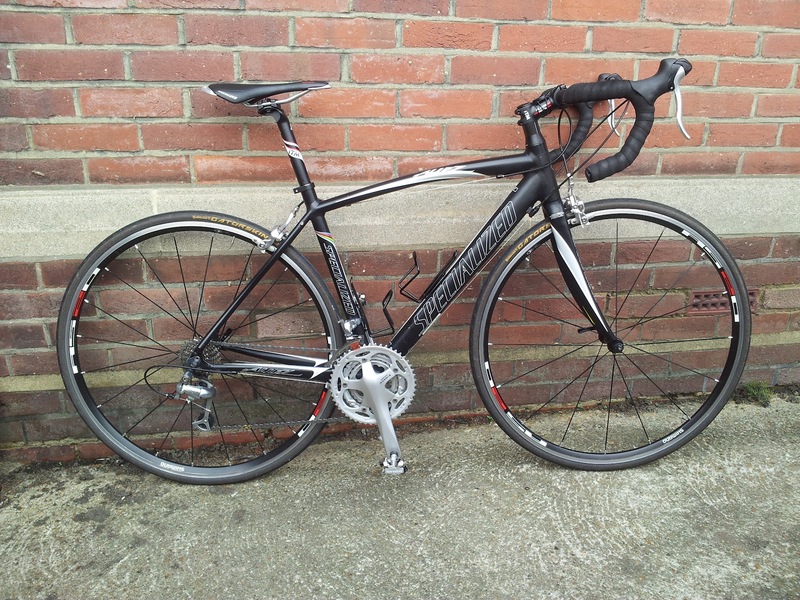 I recently serviced my highest mileage bike, the Specialized Allez. 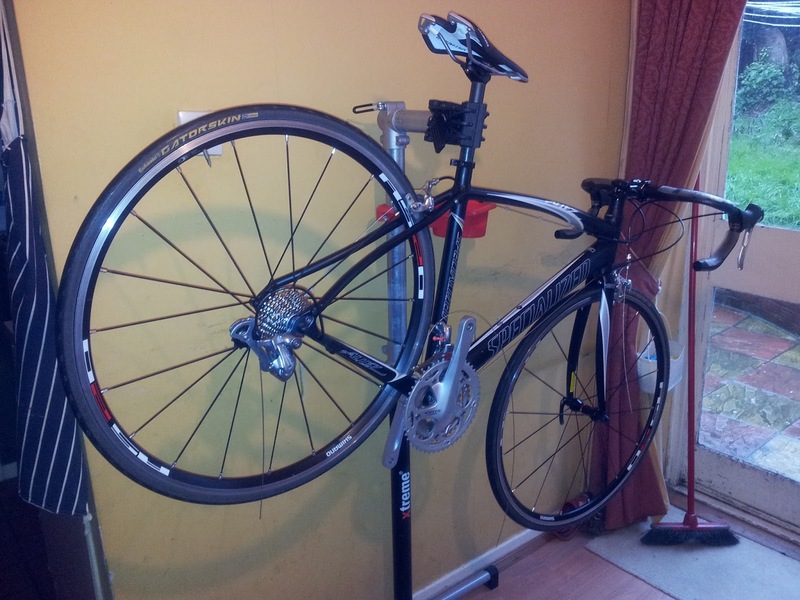 The bike has had parts replaced along the way as and when including big items like the wheels but I've been putting off doing a full service due to the potential cost. Bike shops can be expensive places. Even just the labour. They have many years of experience and have all the special tools required. They can probably do all the work in less than a day but there's something satisfying with doing a good job yourself and saving a good chunk of money. I got a couple of quotes a little while back to replace the brake and gear cables plus replace the bar tape and of course, re-index the gears. Total cost was around £80. I also knew that I'd have to replace the chain and cassette sometime soon and this got me thinking that if I did the job myself, maybe I could do more for less. As the Allez is not my only bike, I can afford to have it off the road for some time while I learn how to do the jobs myself. Since getting my Genesis Day One last November the Allez is no longer my daily winter commuting bike. However, I was aware that I'd need it for a sportive on 18th March. So, I started to search on the web for prices and work out special tools I might need. I also started reading a few guides and watching a few videos to learn how to do some of the jobs I was a little unsure of. The sportive came and went and the bike looked like it'd been dragged through a lake! I started cleaning the bike and then started to dismantle the bike. I decided that I'd strip down the whole bike. Every nut, bolt and component would be removed from the bike so that I could know that every part had been cleaned, inspected and could be replaced if necessary. The thought of stripping a bike down can be quite intimidating but believe me, it shouldn't. There are many good websites and video guides on the web. The mechanics of a modern bicycle are actually quite simple. To be honest, the only job that was worrying me was the handlebar tape replacement. Not everything was plain sailing though. As part of the full bike strip down I decided I'd take both brake calipers off the bike so I could dismantle and service them. 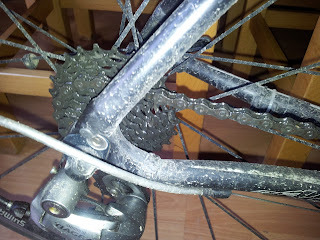 The front brake didn't want to play ball though. 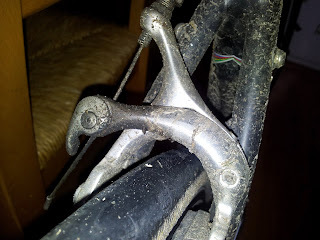 The nut that fixes it to the carbon fork was not budging. The head of the nut just rounded off. I mentioned the problem I was having to a mechanic friend of mine and he said he'd have a look. In a matter of minutes he managed to hammer a splined tool into the nut and undo it. I then purchased a replacement nut online. 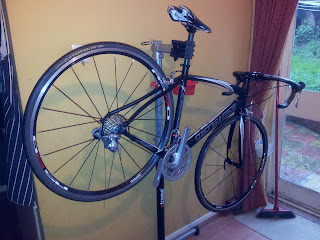 With everything now cleaned and inspected or replaced it was time to reassemble the bike. I took my time making sure that everything was done correctly. I had to a few mistakes, like putting the tyres on the wrong way around. No major issues on reassembly but a real learning curve. I put some frame protection products on the bike as there were signs of wear from cables. I used some frame protection tape in conjunction with some cable rub protectors. I also decided to re-route the front and rear dérailleur cables to reduce the potential for cable rub in the future. As I had expected, the handlebar tape was the hardest to get right. I watched a few videos online and they make it look easy. Getting it right however is a skill I don't yet possess. I had many goes and still don't have it as good as you'd get it on a new bike. I'm quite pleased with how it looks but I know it could be better. It's been a slow but very satisfying project. I've saved some money, learned some new skills and upgraded my highest mileage bike. 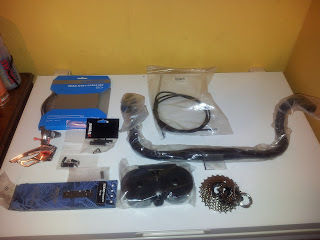 If you want to see the current list of parts on the bike, look here. After almost 4,300 miles, the Allez feels like new again. Toby well done I must admit I have absolutely no knowledge when it comes to bike mechanics, I wouldn't even be able to tell you how many gears my bike has without looking and counting them on the rear cassette. I can change a puncture and tyre but that's about my limit. But the amount I save in fuel by cycling more than pays for the LBS to fix and maintain my bike, so I'm happy with that, but I do envy people who seem to be able to adjust gears and replace the fluid in their hydraulic disc brakes etc. Cheers for your comments. I've always had an interest in mechanical stuff and often work on my car. I'm no expert but I do like tinkering. I like to take my time and learn something new. 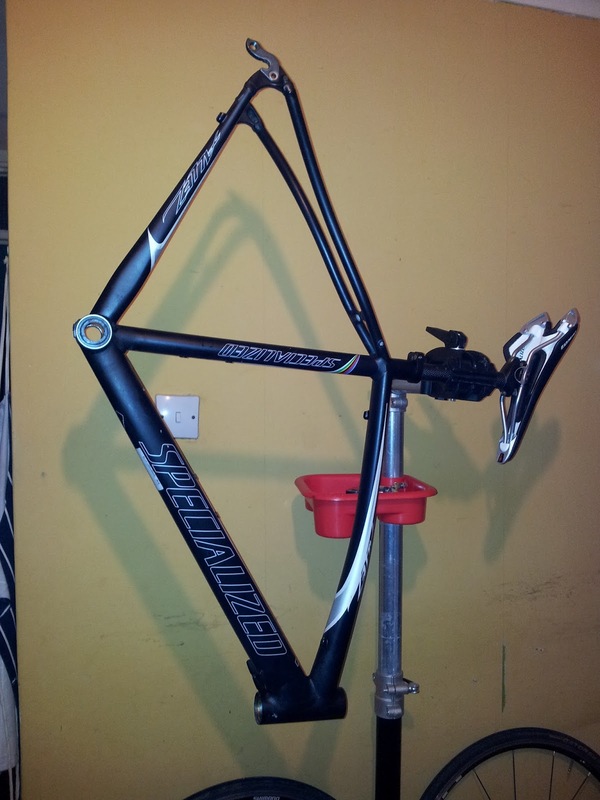 If I find it's something I can;t do then I'll take it to a bike shop. There are some special tools that are too expensive to buy but most are affordable if you do enough miles.